Dear bride-to-be, are you getting married on Valentine’s Day? We must say it doesn’t get any romantic than that! If you love the idea of Valentine’s Day and want to celebrate your special day in a unique way, there are so many ways to include Valentine’s Day without overdoing it in your wedding. 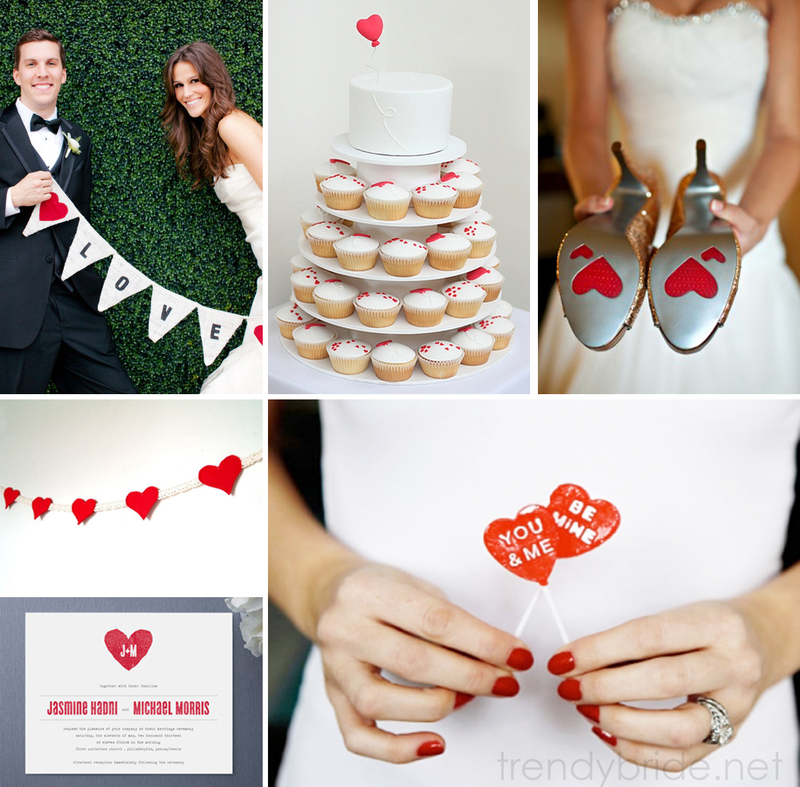 Whether its by adding small touches to your wedding décor or bridal look, you can definitely include valentine’s day in your wedding in a very chic and elegant way! Also keep in mind that your family and friends have chosen to celebrate Valentine’s Day with you at your wedding, so we’ve come up with a few suggestions to make your wedding a romantic occasion for everyone involved. V-Day Invitations: Include some Valentine’s Day touches to your wedding invitations, you can have heart shaped elegant invitations, or use the Valentine’s Day color red, or even have cute hearts printed on your invites. Dance the Night Away: There’s no better mood-setter than music. So make sure your DJ allocates time for some good ol’ love tunes and happy dancing songs so that everyone can get in a festive love mood. Pamper with Presents: Sometimes, nothing says thank-you more than a chic little present to express your gratitude. In this case, customize your wedding favors to include a thank you note, Hershey’s Kisses, or heart-shaped treats. 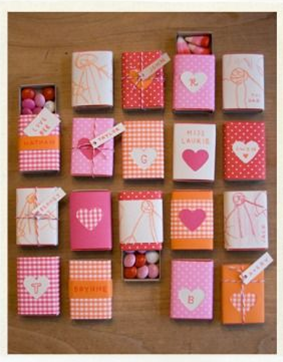 Everyone should get a gift on Valentine’s Day, so why not make all your guests feel special? Bridal Look: If you’re having your wedding on Valentine’s Day, or just attending a wedding, why don’t you add some Valentine touches to your look? Whether it’s your hair, accessories, or shoes, you can always add a unique and elegant touch without going overboard. 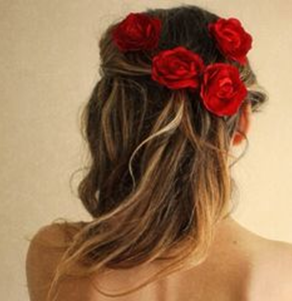 Think of red roses in your hair, or a simple red hairpiece. 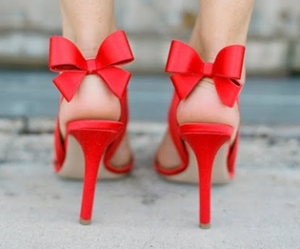 As for the shoes why not add a pop of color to your bridal look by wearing red shoes? You can also include some Valentine’s Day touches in your nail art! 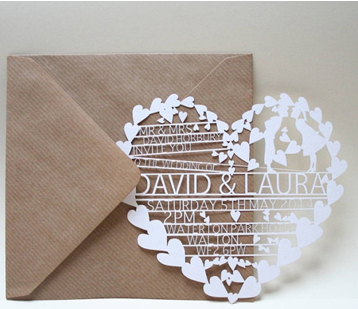 Keep it simple and cute and you’re guests will love your look!